You're in a bowling league. Your relationship is stronger because of it. A Practical Guide to Better Relationships (and a coaster). 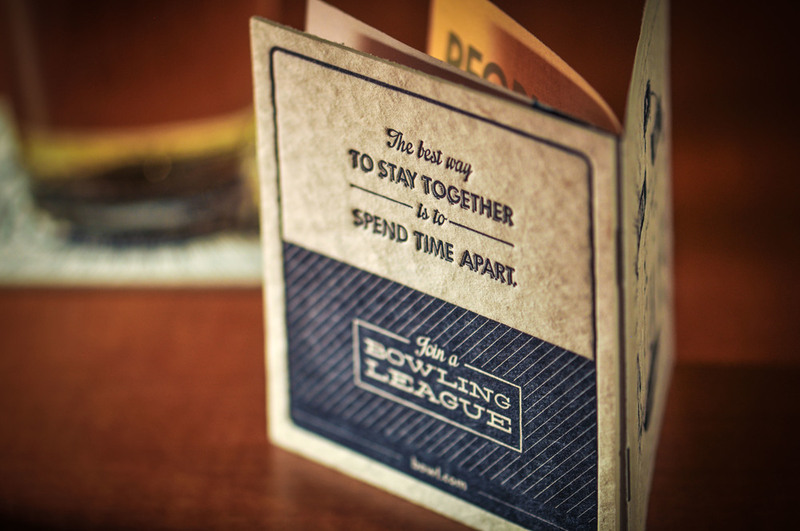 To be placed in bars, this little coaster-booklet is full of tips for maintaining a better relationship.